WOMENS SIZES AVAILABLE.This icon indicates the garment is also available in womens sizes. 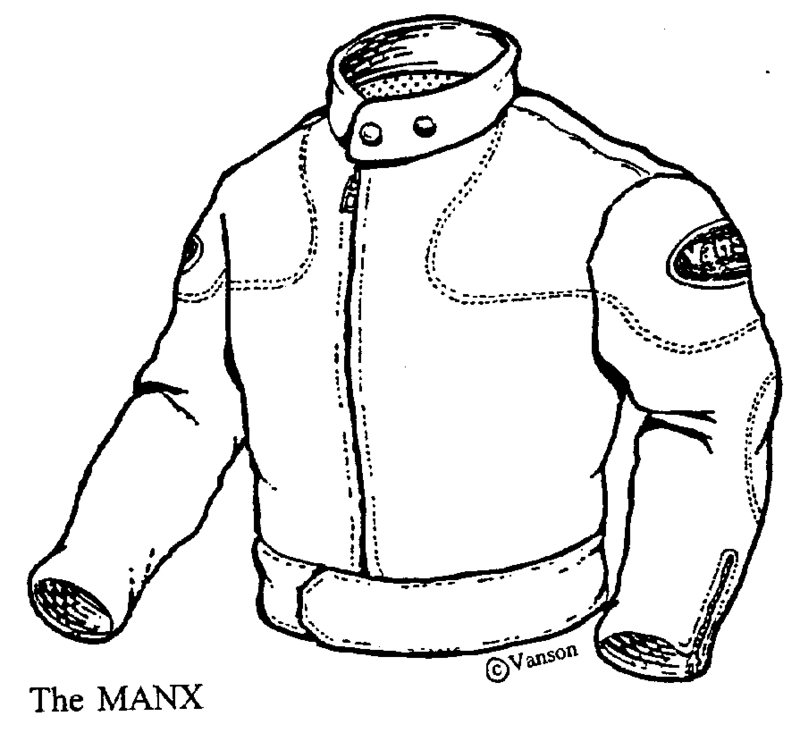 The Vanson Manx started out as the top half of a racing suit. Back in the day, club racing was ride on Monday what you raced on Sunday, and that is how the Manx was born. Given its origins, the Manx is first and foremost sleek. 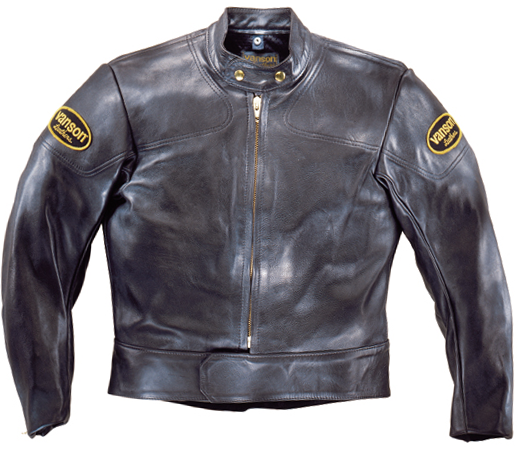 No front pockets (two, with zippers are in the lining), trim fitted shape with curved sleeves ending with gusseted zippers, rear exhaust vents, windflap with competition license holder and double leather at the elbows, forearms and shoulders. But as part of a two-piece suit, the jacket would be too short to wear by itself… so we added a shaped waistband to seal out the wind and give more protection in a crash. We added a tab and two snaps to the collar so it closes securely but needn't flap when open. The bottom closes with a hefty Velcro tab; starting the zipper at the top of this lets the jacket flare out slightly, which is more comfortable for the rider. Minimal, stylish, quintessentially Vanson ....and you can wear it any day you like. accept armor. The wrist zippers are on the outseam of the sleeves. The elbow patches are foot-ball shaped.